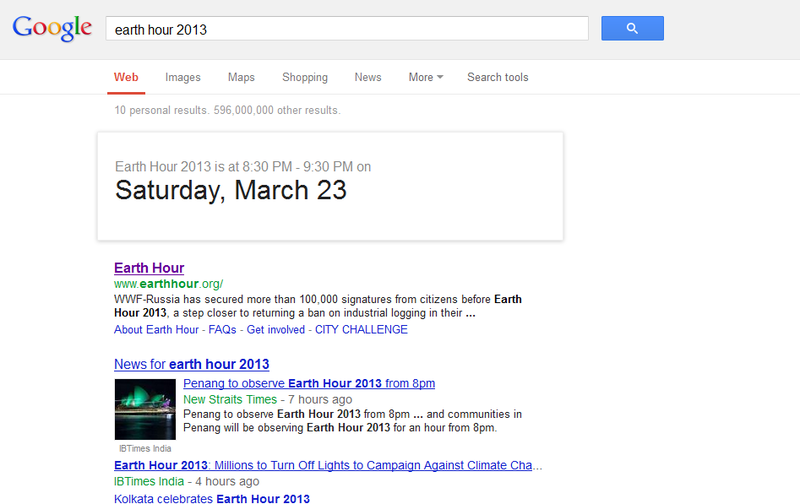 Earth Hour 2013 - "Uniting People to Protect the Planet". 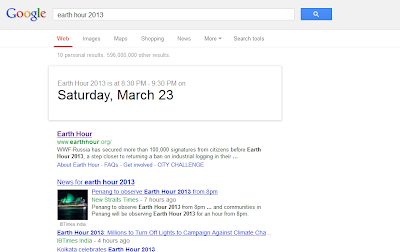 Turn out your lights for one hour -it's a little bit of electricity but it visibly shows you care about the planet. Watch on-line as landmarks around the world 'go dark' - some already have (as it happens local time). The Panda made me do it!